What is the best way to clean your driveway ? Whether you are have a concrete, stone, brick or a tarmac driveway, the surface is porous and gets dirty easily. Your car tyres bring oil and all kinds of grime onto your driveway. You want to keep a clean driveway, but it takes hours with a broom and hose pipe. The best and quickest way to clean your driveway is with a pressure washer. These machines spray a high volume of water at a high pressure (some even at a high temperature) in order to expedite cleaning. For pressure washing driveways, we recommend a washer with pressures of at least 3000 PSI (Pounds per Square Inch). Once you have your pressure washer and a driveway to clean. Clear the Driveway — Move cars, debris, and toys to make the way clear for the pressure washer. Use Chemicals — Pre-treat the drive with a pressure washer detergent or degreaser as needed. Use these as per the manufacturers instructions. Pressure Wash — Direct the high-pressure stream over the entire surface of the driveway, removing dirt and grime along the way. When you are done, your driveway will look as good as new. If you have been researching pressure washers, you have probably come up with a few questions about which nozzles or accessories to use for this application. Rotary Turbo Nozzle — A rotary turbo nozzle will focus the water into a very fine stream, but constantly rotate that stream in order to cover a wider area. This is very useful when cleaning concrete, bricks and pavers. 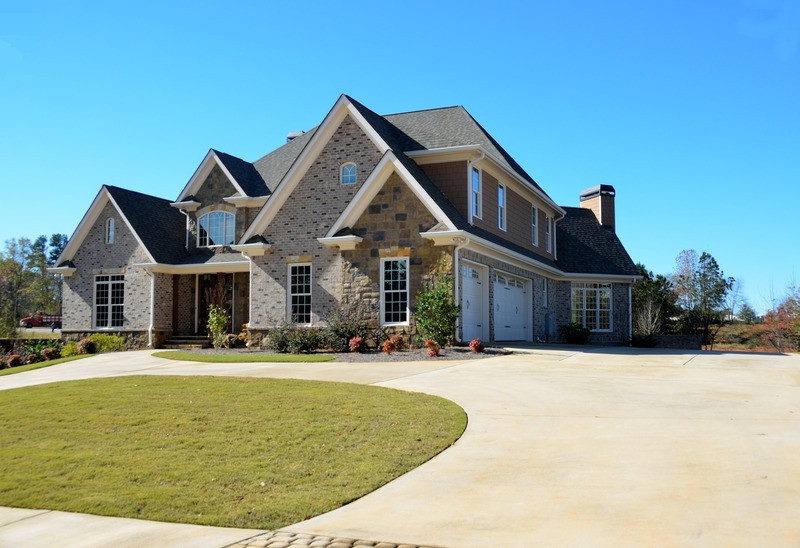 Covering a wider area means that pressure washing driveways will take you fewer passes, and less time. Hard Surface Cleaner — This is the quickest option for pressure washing driveways. These machines have 2 or 3 nozzles attached to the end of a rotary arm that spins covering areas of 8 inches all the way up to 30 inches. These cleaners can regulate the pressure applied depending on the surface being cleaned so you always get the perfect finish. Fuze Products can supply a “Stone Cleaner” which is ideal for both moss treatment and general cleaning. Click HERE for details.